This Mini-me backpack is packed with functional features that make life easier travelling with a little one. Perfect for between ages 2-4 years but still very useful and cute for ages 1-5 years. The bag features reflective strips for extra safety on all 3 panels (front and both sides) detachable safety harness and chest strap to keep the bag secure even over the thickest of winter jackets. 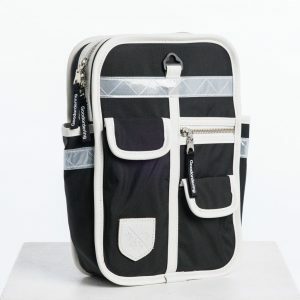 The bag also features a unique strap construction which allows it to be attached to scooter handles. 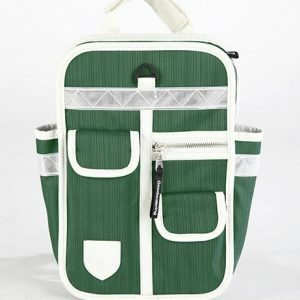 Features include a detachable shoulder strap, laptop sleeve and multiple pockets in classic Goodordering style. The Basil Mara XL Double Bag is a stylish choice of bicycle bag for men and women’s bikes alike. 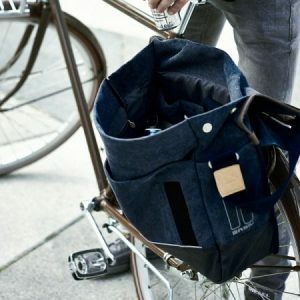 This blue bike bag is also ideal for use with e-bikes. If you prefer to take your bike with you then drive to your destinations, chances are you’ll need some serious storage to cart your essentials to and from the places you need to be. 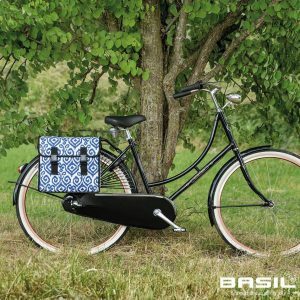 With a generous 35 litre capacity, this double bike bag from Basil is the perfect companion for those bike rides. 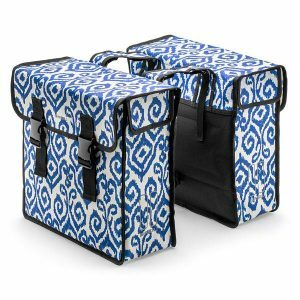 This double-sized storage solution means everything from packed lunches and personal items, to office essentials and the latest tech can be carried with you, while the hard-wearing polyester material keeps things dry in the event of a rain shower. Once you’ve loaded up this bag with everything you need for your journey, you can ensure everything stays in place securely thanks to handy snap-fasten clips and straps for easy attachment to the luggage carrier of your bike. You’ll also find two tires at the top so you can attach things like LED lights, fasteners, a child seat or a spring clamp. Double reflective accents guarantee increased visibility in the dark, helping you stay on the right side of road safety.